We are excited to announce a second “Walk for Water” in 2015. On November 30, world leaders meet in Paris to negotiate a new plan to address the pressing issue of our era, climate change. We will walk for the first week of the UN Paris Climate Summit to learn what can be done, what the summit is talking about and reflect on the global change that is required. 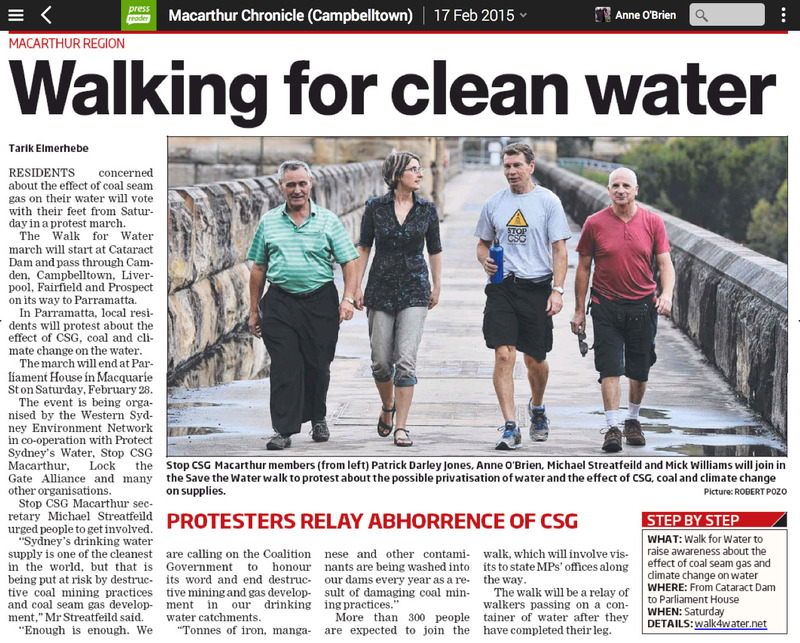 Previously in February, a dedicated group of people from Western Sydney Environment Network led an eight day walk from the Cataract Dam South of Sydney. It is now six months after this finished, and some of our committee members are getting itchy feet to do it all again, this time as a pilgrimage to draw attention to the Paris climate talks. In February, we followed the flow of the water for over 100 km from Cataract Dam to State Parliament following major water infrastructure, visiting MPs offices and holding public events along the way. Our focus then was the threat of Coal Seam Gas and coal mining on drinking water, and the dangers of water privatisation in compromising the public good in water decision making. 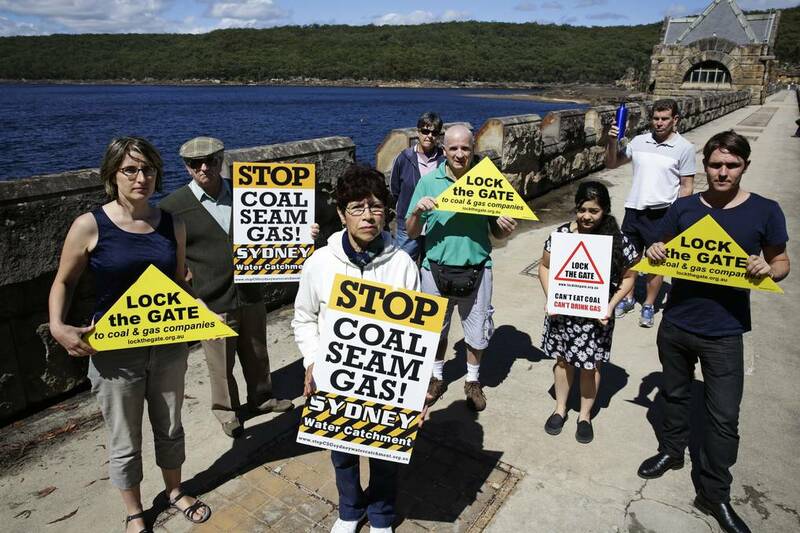 Since then we have been elated to gain commitments from the State government to cancel Coal Seam Gas in a large part of Sydney water catchments (except for Camden). The underground coal mining adjacent to our Southern Dams has continued, however the dropping price of coal has made some projects more precarious than they were before, particularly for Wollongong Coal. This time, our focus is global. We will undertake the walk in solidarity with all the groups around the world working towards a world beyond coal and gas, in which we can find it in ourselves, our communities and our institutions to curb pollution, to stabilise carbon in the atmosphere and ensure a future of flourishing for diverse species and future generations of humans. NOTE: All posts below this are from the original February Walk for Water and are being kept for historical reference. Refer to our facebook event page. 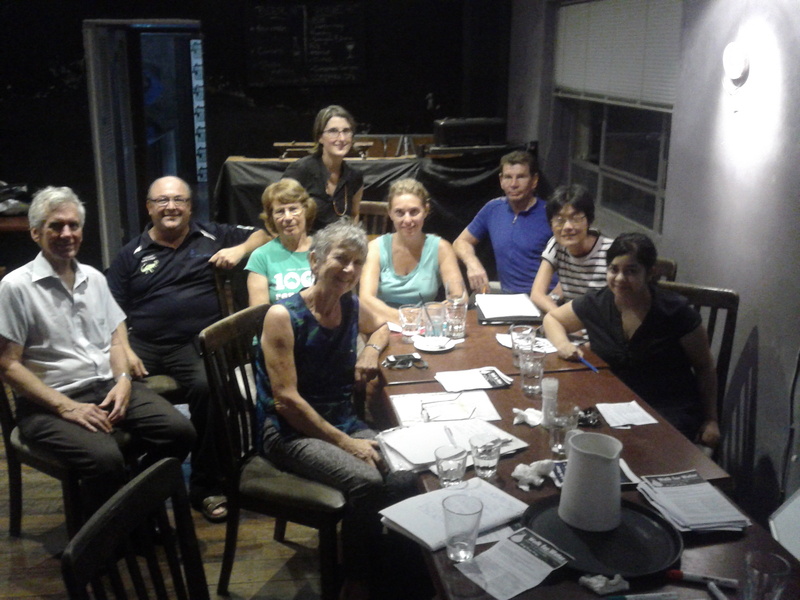 Here’s a picture from our meeting on Tuesday night… a whole lot of patient and dedicated people. There are plenty of ways to contribute – you can walk, cycle (limited spots for the first leg if you’re fit), attend rallies, make or bring food, set up or clean up, drive a van, help painting banners, make signs, sew us some blue flags, come to meetings, debate ideas or messages, update or do a guest post on this website, call friends, get your organisation on board, share info on Facebook/Twitter, print and distribute brochures, play music for us, tell us a water story, donate money. Here are some details for donating via a crowdfunding site if you feel moved to contribute monetarily. If you would prefer to donate directly, contact us and we can send our bank details. SIGN OUR PETITION Five days out from the walk we also launched a petition, on the Community Run site. Please sign and share with your friends. 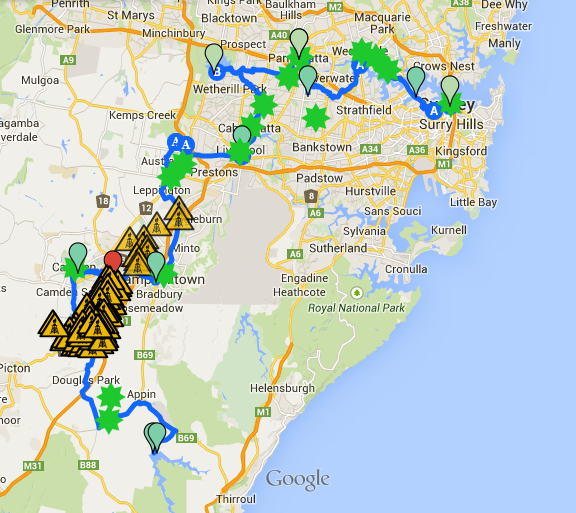 WALK SCHEDULE – updated 24 February. You can see our route mapped out here on google maps. Remember to register for the walk here. 9am walkers will begin walking from the Greystanes syphon at 160 Macquarie Street, will walk until Parramatta (12 km), where there will be speeches at 12.30pm -1.30pm outside Sydney Water, in support of Sydney Water employees and the Australian Services Union that represents them, taking a stand for water to be publicly owned, and governed for the common good. 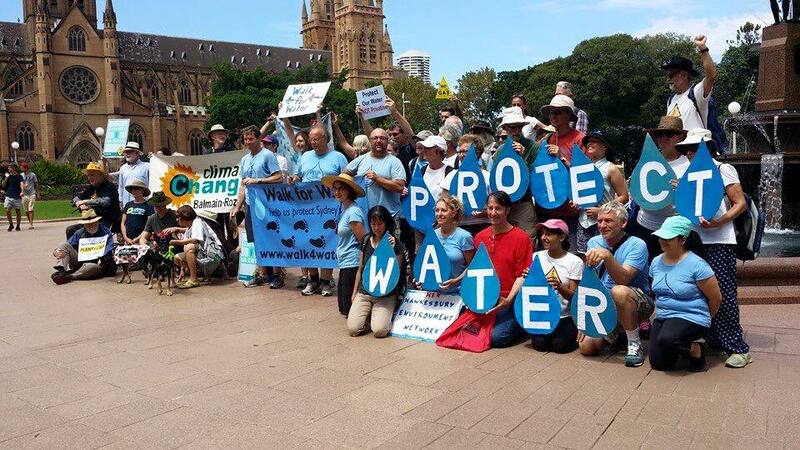 1pm walkers will begin walking from Sydney Water at Parramatta, and walk until Auburn Botanical Gardens (8km) where there will be an interfaith/ multicultural event in the Japanese garden at 4pm on the theme “Why protect water?” followed by refreshments at 5pm at the Peacock Gallery. 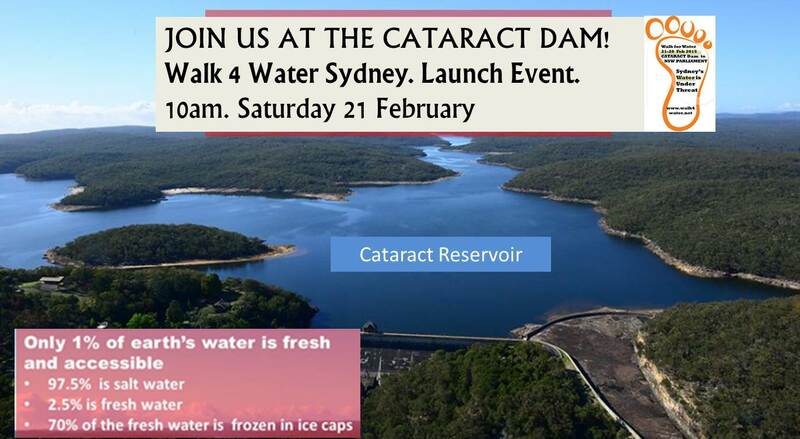 Arrive at 10.00am for event at 10.30 am: community rally and filling up the water container at Cataract Dam, off Appin- Bulli Road, around 85 km South of Sydney. Speeches from Julie Sheppard, Alan Jones, Jess Moore, with representation from Dharawal nation. MCed by Dan Robins. We now have the form ready for your participation in Walk for water. The link is here: https://www.surveymonkey.com/s/WJVZYVF – please let us know which days you can walk, and if you can help prepare. On 21st December, five of the Walk for Water Organising Group visited the Nepean and the Avon Dams (the Avon being affected by coal mining), as well as the gasfields near Camden and the Mt Annan Botanic Garden. Here are some pictures from that journey [note that we will now be starting from Cataract Dam]. Strict rules for access for humans to the Special Areas. Not so much for coal mining. Two CSG wells within 50 m of housing, and within 50m of Mt Annan Botanic Garden. Our friends in Rivers SoS and Protect Sydney’s Water Alliance reminded us that the Avon dam is seriously damaged by coal mining, with the cracks to wetlands feeding the dam kind of like drilling holes in a bucket. 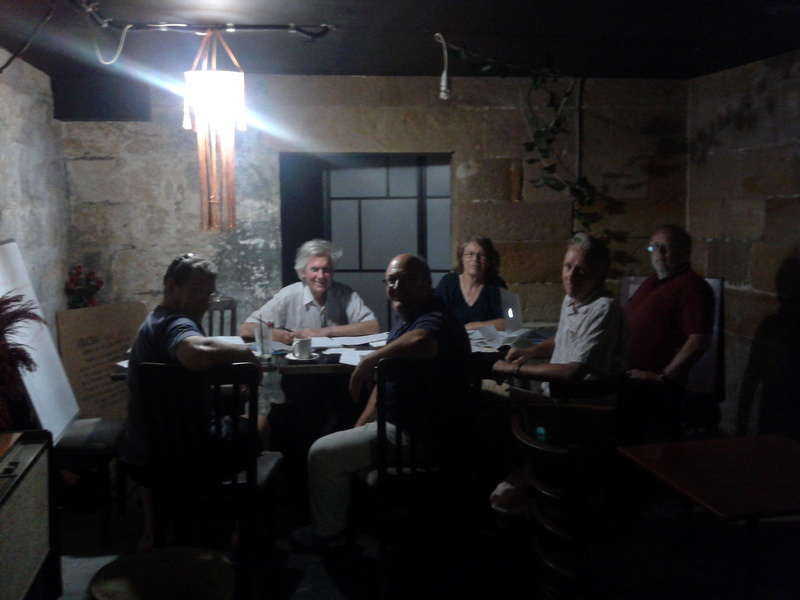 Have a look at our meeting place underneath the Mars Hill Cafe. It’s pretty atmospheric! We will meet there again this Sunday, 11 Jan, 2pm. All welcome! Our meeting room for Dec 30 and Jan 11 under Mars Hill cafe.